S&S Online Marketing is proud to announce that they are Google Partner certified. The Google Partners group consists of a select group of companies who have proven to be professionals in the use of Google Adwords . Previously, there were ‘Google Adwords Certified Partners. These certified companies were not judged on quality, but only on passing an exam. To ensure the quality of Googlea��s partners, they switched to Google partners. Only a small portion of the Certified Partners are now a Google Partner, and we are proud to be one of them. 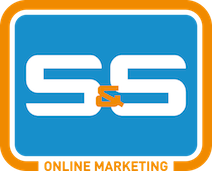 The Google Partner badge is a confirmation that S&S Online Marketing has all the right experience and expertise needed to set up professional online marketing campaigns. Google services such as Google Adwords, Google Analytics and Google Shopping areA�covered by Google Partner badge. Do you want us to help you with your online marketing or specific Google related issues? Please feel free to contact us! We will arrange an appointment and visit your office whenever you like.